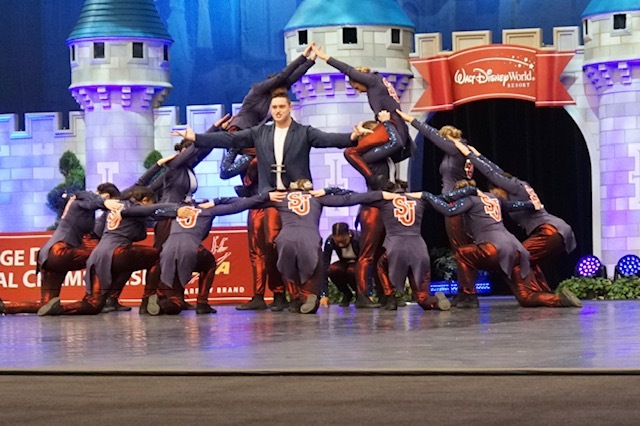 The Louisville Ladybirds' Dance Costumes, as Seen on Lifetime's "So Sharp"
Have you been as obsessed with watching Lifetime's "So Sharp" as we have at The Line Up? It's not every day one of our clients stars in a Lifetime reality show, and the excitement is contagious! Every week we've been streaming the show in the conference room over lunch to see the stunning routines, the teamwork, the drama, and of course, whatever Coach Todd Sharp will say next! Our account manager, Lindsey Stone, has been working with Todd and the Louisville Ladybirds Dance Team for over 5 years now, and we've loved helping outfit the 14 time National Title winners with a variety of pieces - branded apparel for gameday as well as custom costumes for NDA Nationals! Here's a peek inside the team's wardrobe and the inspiration behind some of the Louisville Ladybirds' dance costumes below! The Louisville Ladybirds this past fall on gameday in the 202-7 Mesh Sublimated Top. 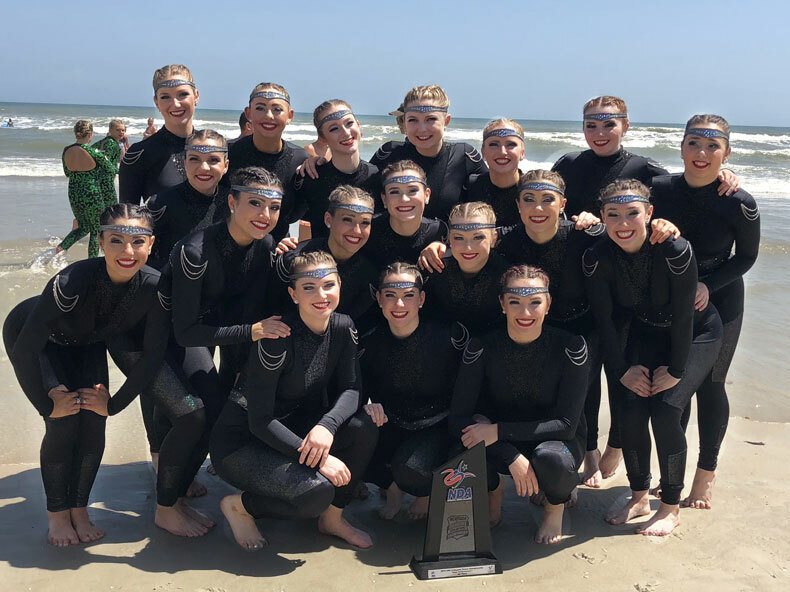 Louisville Ladybird Dance Team- National Champs! It's hard to deny the Louisville Ladybird Dance Team's presence. 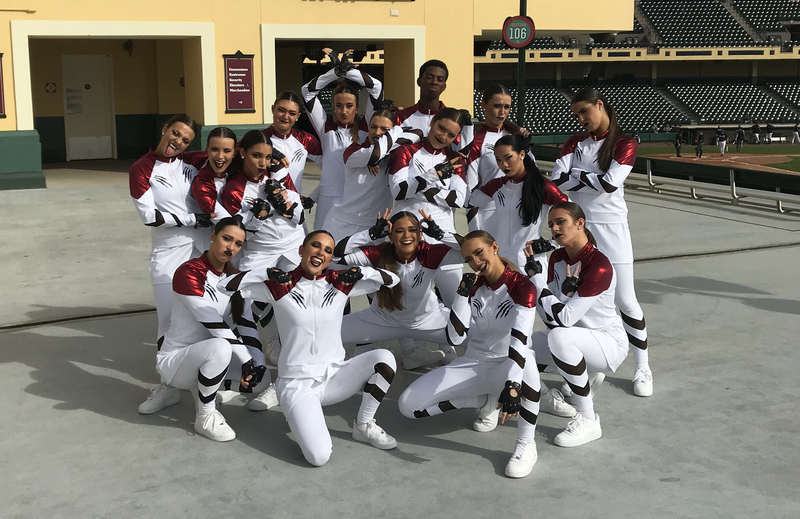 The team has won 9 out of the last 10 national titles at the NDA Collegiate Cheer & Dance Championship, and has 14 national titles overall. Walking into competition, their reputation precedes them! Their team dynamic is unique because they have quite a large team, are co-ed, and have a very strong work ethic. "They don't stop until they have mastered their choreography and skills. They don't settle or rest for good enough, they are always pushing to be better," said TRIBE 99. 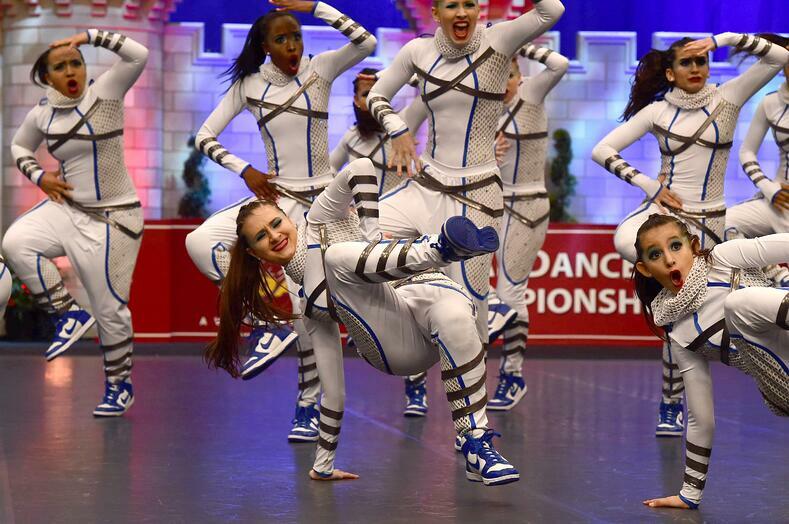 So it's no surprise this hard work pays off at competition. 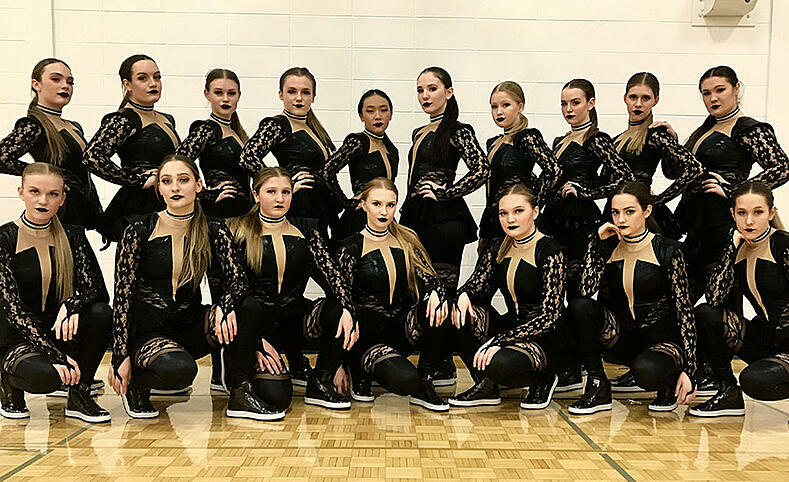 Led by Cheryl Knight and Todd Sharp, the team performs at football games in addition to competing in the Dance Team Performance and Hip Hop 1A division this past spring at NDA. You can also catch Todd Sharp and the team on their new show "So Sharp," premiering July 26 on Lifetime! 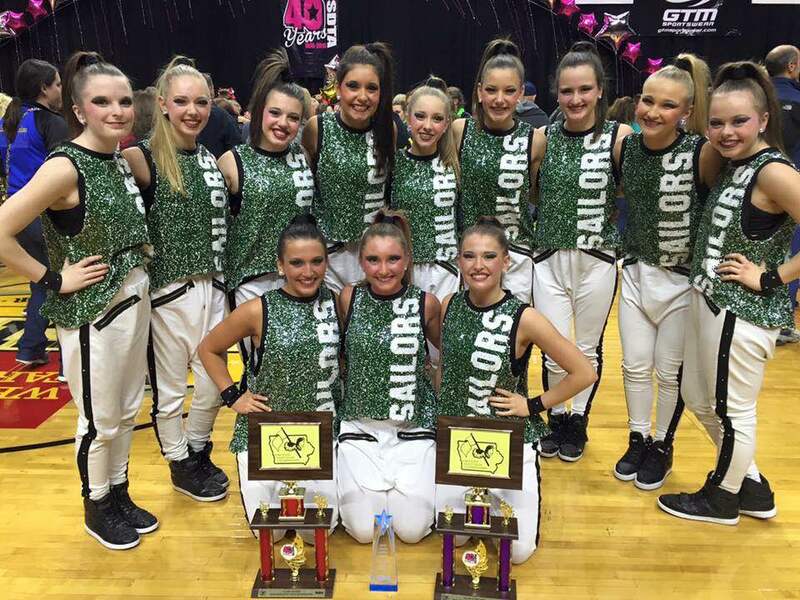 Here's a peek at the team's performance and dance costumes this past season! It's official – competition season is finally here! Among the many competitions and invitationals this week, our friends to the south just wrapped up their Iowa State Dance & Drill competition. In the Class 4 hip hop division the Waterloo Columbus Catholic Dance Team took first place for the third year in a row! And for the second year in a row, the team won the "Judges Choice" Award, which is only given to three standout performances of the day!